How to approve or reject a time card as a manager or administrator. 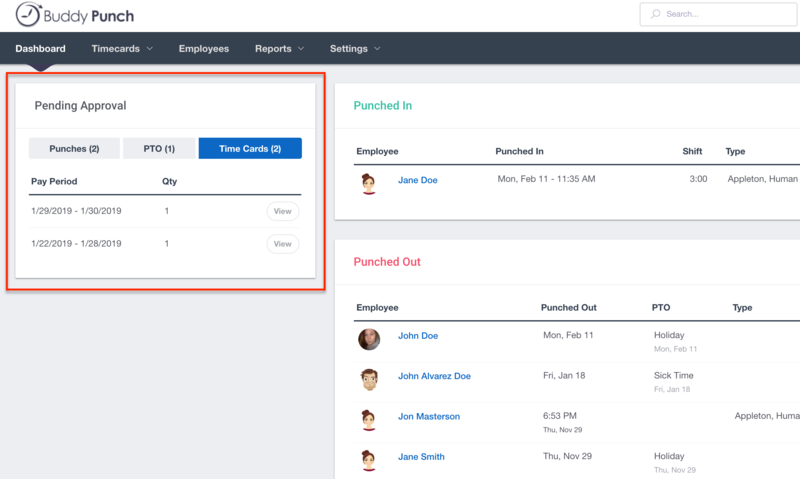 If you are using our Time Card Approvals feature, you can approve or reject time cards. If you have enabled Time Card Approvals your employees will be required to submit their time cards to you and the end of each pay period. Your employees can submit their time card prior to the pay period close or after the period closes. Administrators will be allowed to approve any time card for any employee. 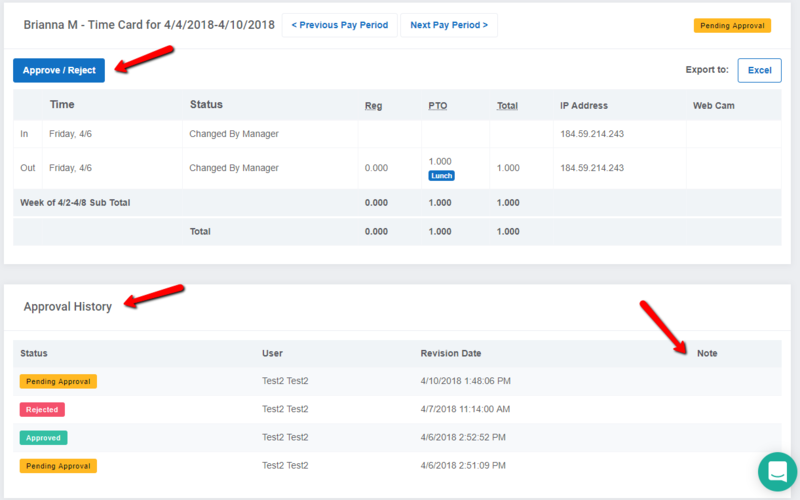 Managers will only be able to approve time cards for employees that they have "Approval" rights for (Approval rights are granted in the profile of the manager's account). 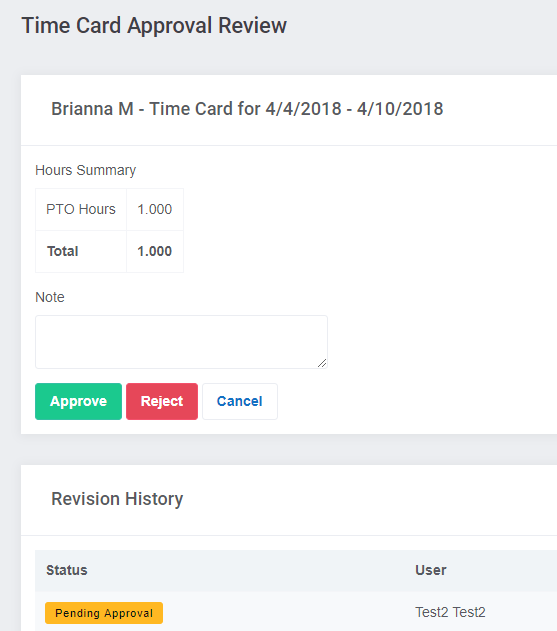 Once you are viewing the time card you'll see notes from the employee, the approval history if you've rejected it and they've resubmitted, and the option to approve/reject again. After clicking on the "Approve/Reject" button you'll be taken to a summary of what you are approving with the options to add notes prior to approving or rejecting. If the time card is rejected the employee will get a notification on their dashboard to act on that rejection. A manager or administrator can manually submit an employee's time card for approval on the employee's behalf, however in the "User" area of the Approval History it will state that the employee was not the one who submitted it.